Hannah Thomas, PhD Candidate and AWTRS Student Member, recently participated in the Australasian finals of the 3 Minute Thesis (3MT) competition at the University of Queensland, representing UniSA as one of 50 finalists from around the Asia-Pacific region. 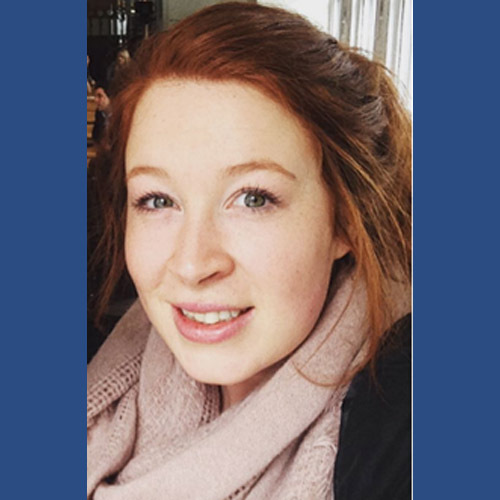 This afforded her the opportunity to describe her exciting research into diabetes, the complications which arise during wound healing for diabetic patients, and the key role that pericytes (a mesenchymal cell type) play in improving healing outcomes. Hannah is a 3rd year PhD student and Playford Trust scholar in the Regenerative Medicine laboratory at the Future Industries Institute, UniSA, where she is investigating pericytes in diabetic healing as part of a wider project for the CRC for Cell Therapy Manufacturing (CTM CRC), under the supervision of AWTRS members Prof. Allison Cowin and Dr. Stuart Mills. The CTM CRC is an international collaboration of 16 participant organisations spanning industry, clinicians, healthcare and research providers which aims to deliver affordable and accessible cell therapies for unmet clinical indications that are a significant healthcare burden. Hannah’s research focusses on reducing the burden of delayed diabetic healing by developing cell-based therapies to enhance healing with a view to decreasing the incidence of lower limb amputation in diabetic patients. The importance and relevance of Hannah’s work was recognised when her 3MT won not only the Judges’ First Place but was also awarded People’s Choice at both the Division of Health Sciences and the University of South Australia’s finals earlier in the year. These awards will allow Hannah to travel internationally, to present her research even more widely and visit labs to form new connections which may develop into promising new collaborations. Congratulations Hannah on this great achievement, we look forward to hearing about future developments of your work, perhaps at the next AWTRS conference!